Billy, Fern and Joe Shortbread are the stars of their family circus, but they also have another talent … they’re experts at solving mysteries! When their circus moves into a new town they soon make friends with a young boy named Tom. But Tom can’t enjoy the circus because his granny has disappeared and he’s worried he’ll never see her again. With the help of their astonishing circus skills can the Shortbread circus stars crack the clues and find Tom’s granny? A brilliant McCall Smith adventure story, brimming with wit, wisdom and larger than life characters. In the last few years, the profile of Alexander ‘Sandy’ McCall Smith has reached stratospheric levels, largely due to the success of the The No 1 Ladies’ Detective Agency stories. The stories, set in Botswana in Southern Africa, feature the intuitive and generous Mma Ramotswe and her small but successful private detective agency. 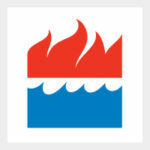 The No.Ladies’ Detective Agency novels won the CWA Dagger in the Library award in 2004. 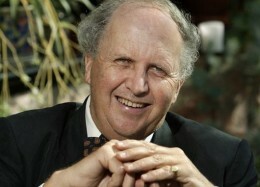 Alexander McCall Smith has also won the SAGA Award for Wit in 2003. McCall Smith was born in Southern Rhodesia (now Zimbabwe), but moved to Scotland to study law. Later he moved to Botswana to set up a new law school at the University of Botswana. McCall Smith now lives in Edinburgh with his wife and children, where he is professor of Medical Law at Edinburgh University. He has written over 50 books, including fiction, children’s books, and textbooks on medical ethics and law. The Isabel Dalhousie series, starting with The Sunday Philosophy Club, is set in Edinburgh. Among Alexander McCall Smith’s newest books are The Double Comfort Safari Club and The Careful Use of Compliments. He is also the co-founder of an amateur orchestra called ‘‘The Really Terrible Orchestra”.